Batu 3 1/2, Kuala Lumpur. IT IS not easy to present a palatable variety when you are dealing with vegetarian cuisine, but at Radhey’s Heavenly Delights in Old Klang Road, they beg to differ. The restaurant offers a mixture of North Indian, South Indian, Italian and Mexican cuisines with over 250 delicacies. Owner Mahesh Anand said apart from the food, the chefs are vegetarian too. Greek salad: For those counting calories. Taking a leaf from the saying “We are what we eat”, Mahesh said, as a practising vegetarian, he believes the person preparing the food should represent it. “We don’t have any soy-based products or any mock things, everything we serve uses milk and vegetables. “Even our Paneer (Indian cheese) is made fresh and we make it in small batches for the day-to-day use. Roasted to perfection: The Paneer Kurkure Kebab is a must try for its flavour and spice. “Spices are imported and we mix our own masala, so you get a customised taste,” he said, adding they don’t use too much oil in the food, to keep it healthy. Mahesh said the feedback from customers has been positive. Some Indian nationals who dine there have attested to the fact the food was similar to that found back home. Some of the restaurant’s signature dishes are Paneer Kurkure Kebab, Papadi Chaat, Paneer Pasanda, Veg Jalfrezi, Manchow Soup, Radhey’s Garden Pizza, Mexican Fajitas, Kashimir Naan and Dum Biryani. 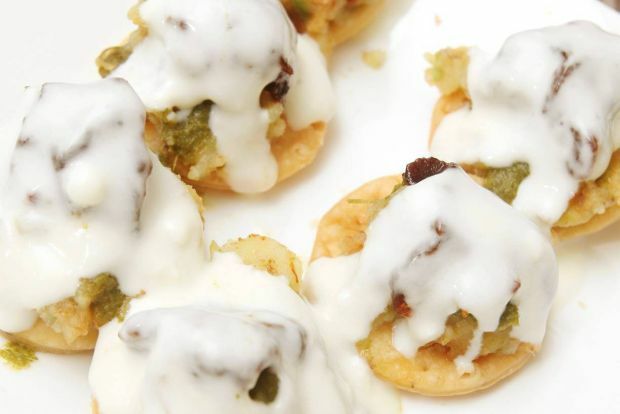 Papadi Chaat is an interesting appetiser served with papadam, potatoes and three different chutney. It is sweet and slightly sour but enough to make you want more. Radhey’s pizzas are just nice because of the thin crust with enough cheese topping as well as other ingredients. For those who like sweet delicacies, the Kashmiri Naan stuffed with apple and pear is a must try. 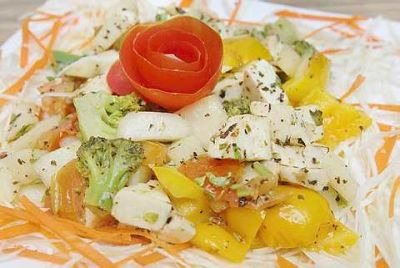 It goes best with the Veg Jalfrezi, where you can taste the freshness of the tomatoes as well as the vegetables inside. 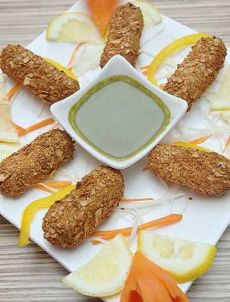 The Kurkure Kebab is roasted paneer coated with a layer concocted from papadam and spices. It is well marinated and you can taste the spice mixture in the paneer. The Dum Biryani is cooked with less oil and very mild, making it easier to enjoy. The most outstanding of all the dishes is the Tiranga Dhosa, which comes in three colours symbolising the flag of India. Spinach is used to get the green colour while plenty of Szechuan pepper has gone into the red. The big dhosa serves two and is accompanied by different types of chutney. However, if you are more adventurous, then go for the Big Kahuna of all dhosa, the 30-inch Family Dhosa. The restaurant also serves Mexican dishes like Fajitas and some Italian specialities.